Even the CNN commentator said today that watching the White House is "like watching Alice in Wonderland." But one thing should be absolutely clear from recent events, reopening the closed jobs took place only because of the work stoppages and potentially more of them. In other words, it was ONLY the power of working people -- the working class -- that brought Humpty Dumpty down --- and if the working class learns how--- decides to -- use its power to the fullest, then all the king's horses and all the king's men …. well, you know the rest. I can't even imagine the pressure he got. It certainly identifies and verifies air travel as being an Achilles Heel for them. Well, Congress has 3 weeks to pass a budget, so we'll see what happens. It’s not a Shutdown, it’s a Shakedown! 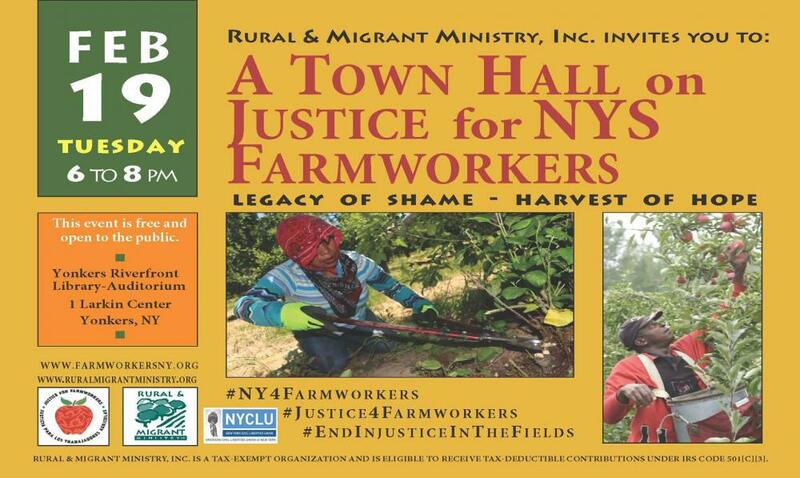 We have just under three weeks to organize. Teen vogue is publishing some great union education pieces. Through their historic strike, Los Angeles teachers have taught working people across the country how to fight back and win. Liberal pundits and politicians framed the 2018 teacher walkouts as a “red-state revolt,” as if the crisis of public education was limited to Republican-dominated states like West Virginia, Arizona, and Oklahoma. But the Los Angeles movement has made it clear that Democratic politicians have imposed the same policies of privatization and austerity. Impeach trump and get Pence. What's the endgame here? Pence is being investigated too, or looked at for obstruction. We're so practiced at regime change...it should be easy!! Haha! Impeachment is a a political process - it will or will not happen overnight. It becomes a political tool to focus and organize the opposition in the period leading up to 2020. It puts the Trump Administration on the defensive. We can also raise the issue that the head of the Trump transition team should also be impeached - that was Mike Pence. In an otherwise thorough bit of reporting, you fail to consider the consequences of impeaching Donald Trump. And if, by chance, it was successful to the point of where he would be removed from office, the consequences are dire indeed. In effect, I suggest it would be foolhardy to impeach this President. Unless, of course, you impeach Vice President Pence first. Otherwise, the honeymoon for President Pence will enable him, a worst possible scenario that no one who loves this country would dare wish on the American people. Pence would be the worst POTUS for these times. An impeachment of Donald Trump is an endorsement of Michael Pence, the highest achieving Tea-Party member in history, representing a greater threat to our Constitution and democracy than Trump could ever muster. There are plenty of grounds for impeaching Pence. Do that first. Then go after Donald Trump. If not, then leave the issue alone and let Congress get a backbone enough to run the country while Trump continues to evade his responsibilities. 2020 re-direction is a lot better than impeachment proceedings against Donald Trump. Think. As bad, stubborn, racist as he is I would put my money on him getting reelected in 2020. Trump has been an extraordinary side show while the ruling class expands military spending, plans on the overthrow of the Bolivarian Revolution, engages in changes in the tax structure to feed the rich, reduces regulations, etc. etc. We hear and read 24/7 about Trump's follies, his "tweets," his disgusting family and on and on. It is time to concentrate our energies on an agenda for rebuilding the US; an agenda that highlights community, democracy, human well-being, and end to racism and sexism, environmental sustainability, and peace. Debating impeachment would be another side show which would only benefit the profits and viewership of the mainstream media. Impeach Donald Trump, a sacar del poder al Presidente. For the first time, I'm leaning towards the side that says impeach Trump. He went into office as a pacifist promising to end the "forever wars", but like his predecessor, he has fully capitulated and is now in full Colonialist mode. The world has come too far to return to the days of colonial powers dictating to and imposing puppet dictators on weaker nations (behold Ukraine where the current leader, Proroshenko has less than 5% popular support, and the hand picked puppet at the time of the upheaval, Yats, had to resign because he had no support). Trump has to go. Add to that, he is upholding a dictatorship in Saudi Arabia that's decimating the poor in Yemen by war and butchering conscientious objectors in diplomatic compounds. Yep, his time is up. There is a 25th Amendment, Section 4 states other executive officials may declare the President unfit for Office. The Vice-President has to agree though. Because I reside in one of their colonies, I like to follow the news regarding the colonizers agenda. An emasculated Senate won't recognize that President ( not mine) is mentally unfit and unstable. 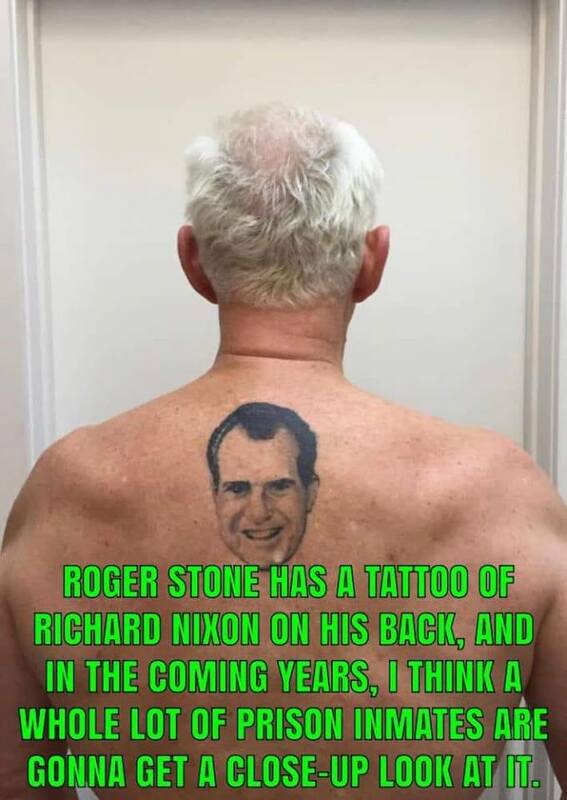 Re: FBI Agents Arrested Roger Stone for Free. I Would Have, Too. This week, Vice President Mike Pence called on Venezuelans to overthrow their democratically elected president, Nicolas Maduro, calling him a dictator — as if working with dictators ever bothered the US. The rhetoric and threats are escalating, helped by the corporate journalists and politicians — including Andrea Mitchell and Ted Cruz — who are uncritically repeating the accusations which will help justify a US intervention. To put this in perspective, please check out the following timeline of US interventions in Venezuela since 2002. 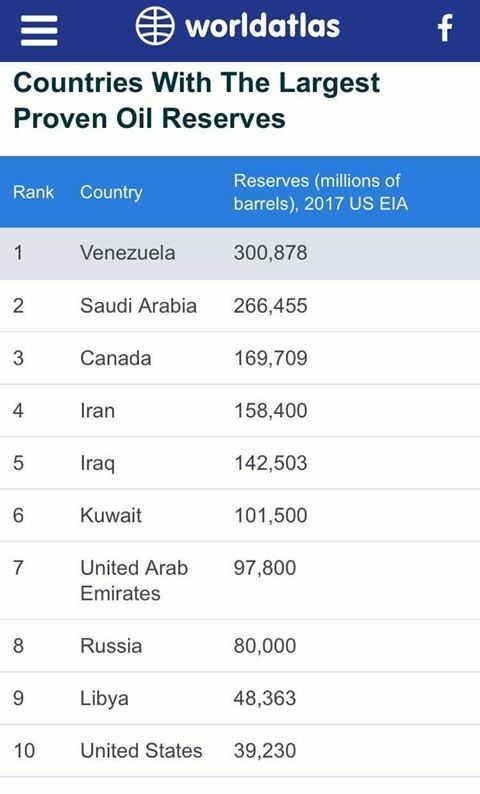 And remember: Venezuela holds the largest oil reserves outside the Middle East. Lift the sanctions imposed by Obama and see how long Venezuela is a failed state. Tell Saudi Arabia to stop manipulating oil prices. The Maduro regime - and to a large extent Chavez too - are to be held responsible for a number of wrong-headed policies. The political process was driven by a completely top-down approach rather than mass democratic decision-making from below and corruption within the Chavismo camp was never seriously addressed. 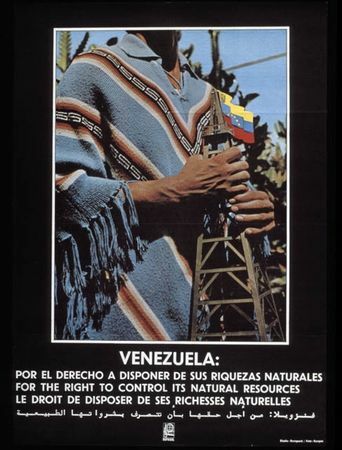 In addition, there was little (as far as I know) of an attempt to diversify the petrol economy, thus leaving Venezuela in an extremely vulnerable position when the Saudis (wanting to harm Iran) flooded the market, causing prices to plummet. But right now, the people of that country are faced with two tasks - resisting an attempt to impose a Venezuelan Pinochet of mass murder, and then organizing a political alternative to what remains of the revolutionary process. Rather than a holier-than-thou "pox on both your houses" approach, we must do whatever we can to oppose US efforts to impose its solution, with Elliott Abrams of death squad infamy directing policy! Thank you Medea Benjamin and Code Pink for once again standing up, truth to power. 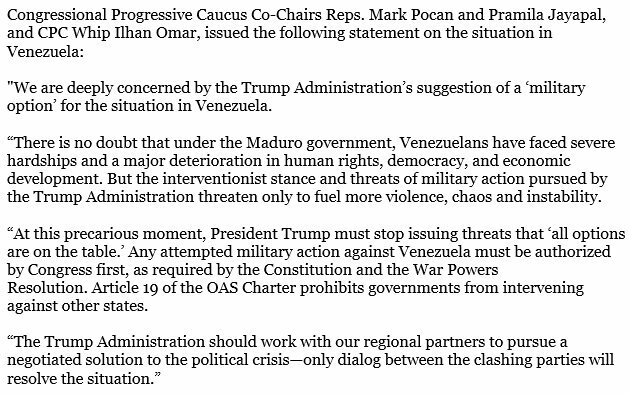 As a veteran of the Army and a Peace Corps Volunteer who served two years in Colombia, I strongly oppose my country's intervention into the internal affairs of Venezuela. I'm sorry to say that my signature for this letter arrived too late to be included in the Common Dreams report, but given that I can assure my fellow Portsiders that far more than 70 scholars signed this letter. If Noam Chomsky is against the coup in Venezuela, I know I'm on the right side in agreeing with him. You printed a piece on Abrams from Common Dreams. The authors of the piece quote E. A. as saying how happy he is to be back in the government. But where has he been? For years he has been a Senior Fellow at the Council on Foreign Relations. This connection is key. Learn more from my book on the CFR -- Wall Street’s Think Tank: The Council on Foreign Relations and the Empire of Neo-Liberal Geopolitics 1976-2014 (Monthly Review Press 2015). The damn headline makes it sound like workers are striking against Obrador instead the effing sleazy employers. I worked for a company for 38 years and they left for Mexico. I hope they are part of this because they are certainly part of the problem. I wish the workers the best of wishes and solidarity. Re: Who Should Negotiate Peace in Afghanistan? Our concern for Afghan women should begin with recalling that the road toward their liberation was laid by the former "Communist" government. That fact was important in the organization of the Muhujaheen, the radical traditionalist Islamists who the US bankrolled and armed to overthrow that "Communist" regime and who became the Taliban. We should not leave changing the world up to the plutocrats, even the good ones. In the end, they will make it over in their image. We broke up Rockefeller's Standard Oil, we can do it again. The problem with the tax lies in the fact that politicians will find a way out of paying the tax. It’s not like anyone wants to take ALL of the extremely wealthy people’s money away. Maybe just a sensible tax regime. Call it a “market correction”. We’ve all been through those. franchise + independent contractor = exploitation. A very good, close look at the appalling NLRB decision in SuperShuttle. If you've worked in the difficult field of union labor relations, the facts of this case and the "rationale" (if any) for the outcome are a strong reminder of why we need to remove Trump and the misbegotten (Sorry Terri) GOP from power. Thanks to Ruth Needleman for sending this Portside post along. Could BCRI have embarrassed itself more? Please read this article. It offers a more nuanced discussion of Palestinian and Jewish rights. Reasonable people acting reasonably. It seems that the controversy has raised the conversation for the masses. I would she call-out this group as a sad exhibit of the fact that the most insidious aspect of oppression is the inveigling of the oppressed to internalize the rationale of the oppressor’s. I want her to rhetorically break their faces and send them home awash in lamentations of their craven ignobility as veritable Quislings of Color. I remember Angela Davis from the sixties. She always stood for the repressed, whoever they might be, and the Palestines are repressed. I'm with her. And an aircraft carrier. You know it as the Stennis. John Stennis was a segregationist back in the 60's and yet an aircraft carrier is named after him. I am thrilled to see you ! The Angela Davis victory, would love to see f/u . The General Strike call by Labor/Flight Attendants. ..changed my false alarm that "our future is bleak due to "fear"! I live on S.S. & Snap, will advocate for Independent Action til I die! Tens of millions of people are being uprooted, separated from their families and risk losing their culture as a result of war, poverty, repression and climate injustice. 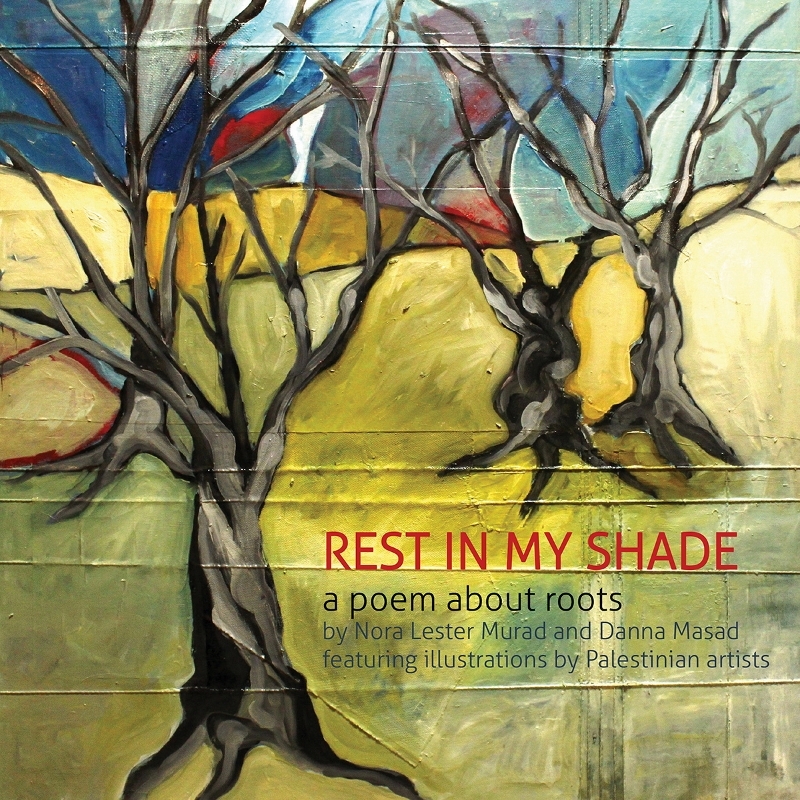 Rest in My Shade is a poetic story about displacement and loss recited by an ancient olive tree. In today's world of refugee and migration crises, Rest in My Shade is a tool for building understanding about the universality of the displacement experience. It conveys hope that together we can build a world in which we can all live without fear, move freely, value, and share the cultures and traditions that make us who we are, and feel dignity and acceptance everywhere. The symbolism is enhanced through the stunning fine art in various media created by 18 noted Palestinian artists living around the world. Olive Branch Press, an imprint of Interlink Publishing Group, Inc.
George Mann has produced CDs featuring some of the greatest folk and labor artists of the past 50 years, and now a new CD of lush, powerful folk songs. 9 originals, 3 folk classics, top-notch production and performances from some of Ithaca's finest! 515 Malcolm X Boulevard/Lenox Ave. at W.135th St.
Too often, stories of women leaders within the fight for Black liberation are buried behind those of the leading men. 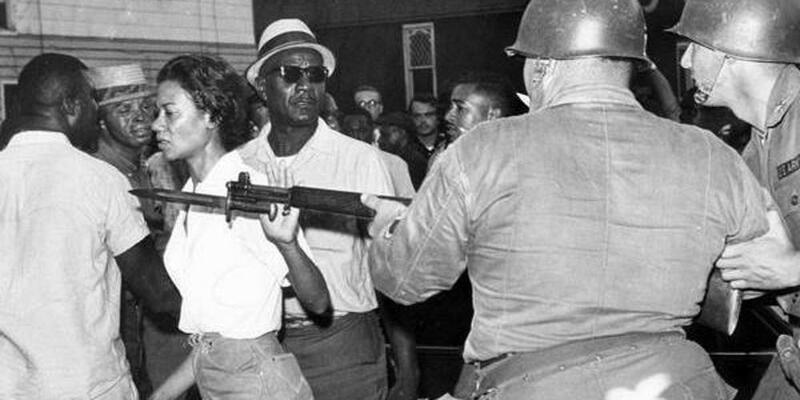 This Conversation in Black Freedom Studies program moves beyond the leading-man narrative by restoring the biographies of Louise Thompson Patterson and Gloria Richardson, and by examining women in the Nation of Islam. 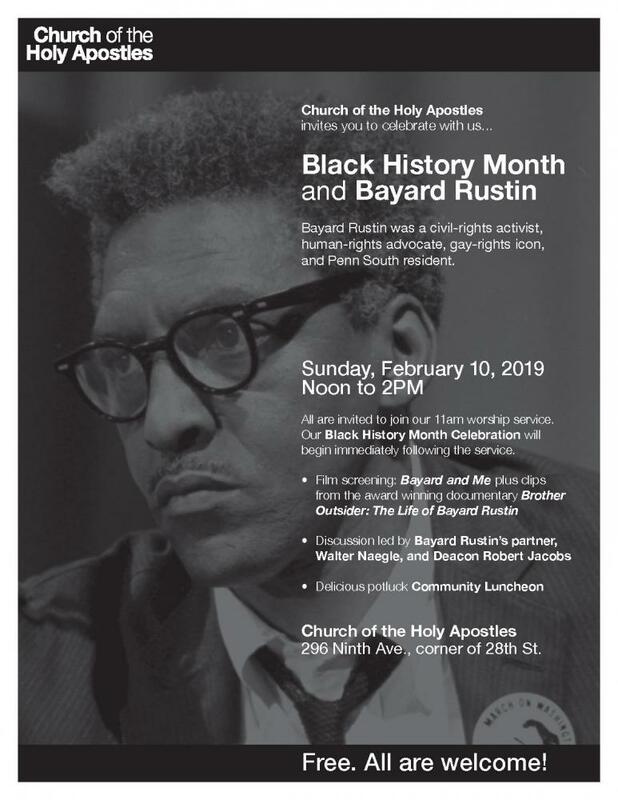 Join Ula Taylor, Joseph Fitzgerald and Keith Gilyard as they discuss how Black women negotiated racism, patriarchy, the U.S. class system, and a Cold War world, and forged their own dreams for freedom. These are the talks we need to have more often. Only by looking back at and learning from our past, can we ensure the victories of the present and future. 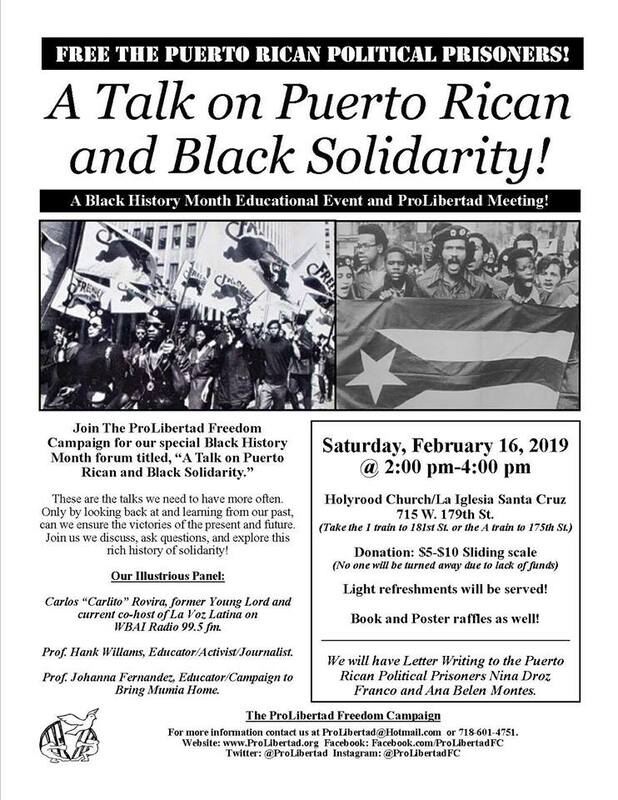 Join us we discuss, ask questions, and explore this rich history of solidarity! Carlos “Carlito” Rovira, former Young Lord and current co-host of La Voz Latina on WBAI Radio 99.5 fm. 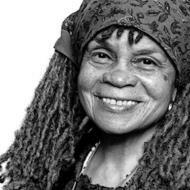 Prof. Johanna Fernandez, Educator/Campaign to Bring Mumia Home. Book and Poster raffles as well! 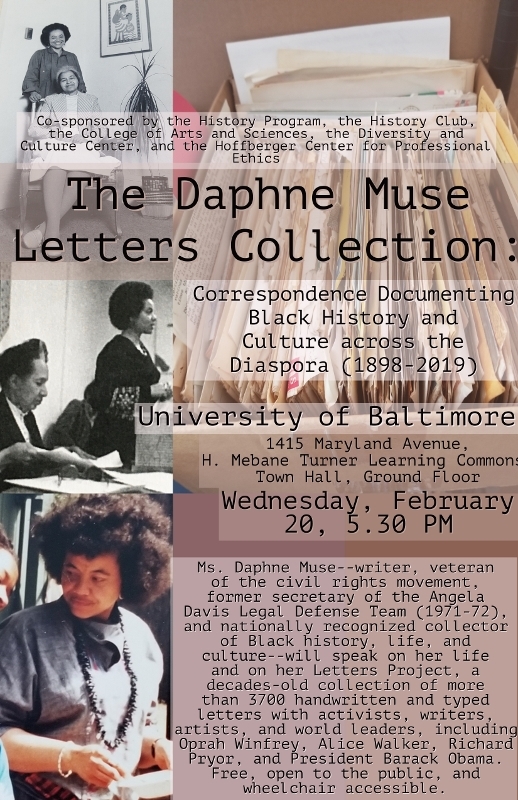 In addition to working with SNCC, Ms. Daphne Muse worked at Drum and Spear, was the secretary for the Angela Davis Legal Defense Team 1971-72, and has been a major collector of Black ephemera and literature for over fifty years. She will be speaking about her new project, The Letters Project, a collection of more than 3700 handwritten and typed letters from the last one hundred years with activists, writers, artists, and world leaders, including the founders of SNCC, Angela Davis, Shirley Graham Dubois, the Soledad Brothers, the founders of Drum and Spear Bookstore, Gwendolyn Brooks, Walter Rodney, Oprah Winfrey, Alice Walker, Richard Pryor, and President Barack Obama.